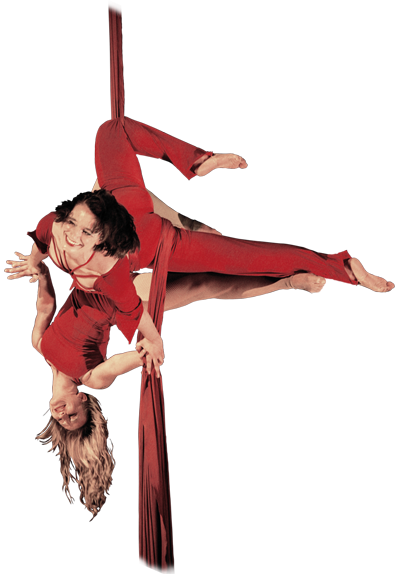 Aerial Acrobatics - circus artistry - CHRISTMAS Vaudeville - GALA - FAIR - we will be there! Whether on the vertical rope, trapeze, silks, or in the bungees - we perform from everything that hangs in the air. Outdoors or indoors, the crane or own freestanding trapeze installation. With our Wall Dance we perform on Street Theater Festival with a lot of joy. Enrich our showacts with your ideas and we fly with your extra wishes away! It was fun! It was great! And it was windy! - all good ingredients for a harbour festival. PreSail takes place a few days before the real SAIL event in and around Amsterdam. Nice to be part of it with an aerial show act by Sol’Air Company!